… thereby creating more – expensive – problems for whoever comes after them, of course. The Work Programme companies made money from the taxpayer though, which is surely the point of the exercise, not getting people into non-existent jobs. Naturally then the government would look for more opportunities to rob the taxpayer on behalf of their business chums. I’d say that’s what they’re there for. First of all I’m sorry about the criticism last week! That said why are the Tories trying to totally bankrupt this country? Everyone knows they are morally bankrupt! Sooner or later aren’t the rich going to suffer? I mean without any viable workforce to do their bidding? It does make any sense at all!! The idea is to create so much insecurity, and push everyone into such poverty, that they will work for ANY cash, no matter how little. That way the rich gits like those on the Snapchat Facebook page get to lord it over us in perpetuity. It will be a living hell for anybody who isn’t a millionaire. Or they’ll implement Mode 4 immmigration and we’ll simply be left to starve. 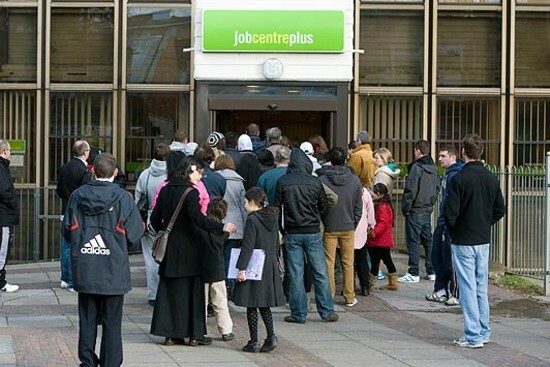 Mike gives a succinct explanation why the government’s proposal to end job centres and privatising their work will be a car crash, based on the way their system of privatise enterprise job finding has worked so far. I have to say that I don’t think efficiency and providing quality service has anything to do with it. All that matters is that the state is now performing a service, which some firms believe they can make a profit from. Thus the Conservatives will privatise it, whether or not any improvement can realistically be expected. After all, we now have a worse railway service than when it was nationalised industry under British. Ditto water, gas and electricity. Nevertheless, Neolib ideology says these must remain in private hands, because Neolib ideology is always right about private industry, and if it isn’t kept private, the CBI will have a strop and parties may lose lucrative sponsorship. In the end, it’s all about greed and exploitation, not service. When the choice is between what will work and what will make their friends in business money, there’s no contest for the Tories! I’d be very frightened if I were a job centre employee – they will now have to go to work each day with the prospect of “redundancy” over them. They’ll be terrified of opening emails and letters that are addressed to them – what an awful feeling. Sounds just like us with brown envelopes coming through the door! If they believe privatisation solves every problem, privatise the politicians. I believe this move has a lot more to it than merely shovelling yet more cash to greedy private companies. Once a claimant gets “assigned” to one of these companies they will then become the property of that company. With the threat of stiffer sanction any unemployed person will have to do whatever that company says regardless of choice or legality. As publicly funded private employment agencies they wll have the power to hire out any unemployed people to whatever company they choose at whatever level of pay they want. Given the Tory wish to also withdraw from the Human Rights Act slavery will become once again Britain’s means of becoming an economic powerhouse. You may think this is all a bit “conspiracy theory” but look at the Tory history and slavery has always been their agenda. From domestic service to the mine owners Britain was for centuries a slave owning nation, unable to move to a new employer without permission, unable to marry without permission, unable to buy property, unable to vote, , unable to spend their meagre wages where.they wished etc. Some of these proposals have already been touted publicly.deny voting to the unemployed, deny having children to the unemployed, tell the unemployed how and where to spend their benefits, deny the unemployed suitable housing etc. Some of these proposals are already in effect, work for whom you are told for whatever pay you are told,( workfare), leave social housing if unemployed ( bedroom tax) work under whatever conditions you are told (introduction of punitive Employment Tribunal fees). Each act individually goes unnoticed and is but a little step towards the slavery of the pre 20th century Tory era. Wake up and smell the roses slavery is no longer a Third World institution but rapidly becoming Britains biggest growth industry. Well said and let’s not overlook Mode 4 immigration which facilitates the movement of cheap workers to Britain as opposed to the movement of jobs abroad. They do not care if it does not work, it is another gravy train for their mates to ride, billions of taxpayers money up for grabs.